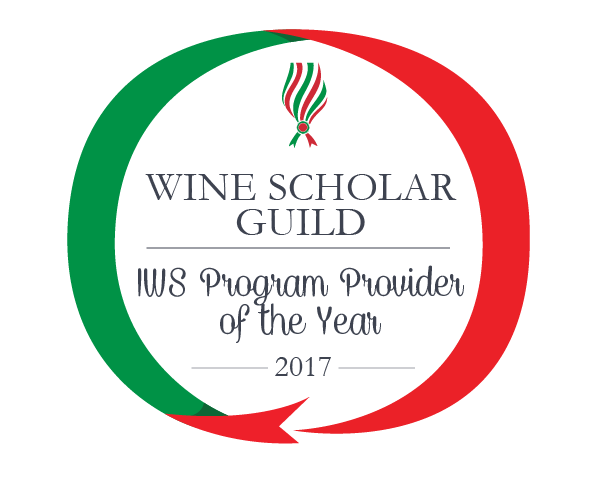 IWS Program Provider of the Year rewards professionalism and perfectionism in the business of wine education and delivery of the Italian Wine Scholar study & certification program. Judging criteria includes student volume, facilities, student evaluations and the overall profile of the course offerings given by that learning institution. These factors, together, create an award-winning environment of academic rigor and excellence. Kudos to IWEG Director Paul Miles, IWS Instructors Nancy Reynolds and Rose Anne-St-Jean as well as the entire IWEG team! You are successfully teaching both the Italian Wine Scholar and the French Wine Scholar program at IWEG. Why is the market responding to these specialization courses? There are a number of reasons why the market is responding to these specialization courses: firstly, consumers in Ontario are selecting wine over other beverages in increasing numbers and with this comes a natural “thirst” for greater knowledge and information about wines from “classical” regions, which the Italian Wine Scholar and the French Wine Scholar programs provide in abundance. Secondly, the reputation and quality of these educational programs, as well as the fact that they provide a robust “deep-dive” into arguably what are considered two of the world’s greatest wine producing countries, mean that we have found that they are perceived as excellent, “knowledge tool kits and skill enhancing” programs by people who are currently in or are thinking about taking the WSET Level 4 Diploma in Wines and Spirits (including some who aspire to be candidates for the Institute of Masters of Wine). Thirdly, from a trade perspective, the Ontario wine market is highly competitive and undergoing important structural changes, for example, grocery retailers sell wine in select authorized stores. The Italian Wine Scholar and the French Wine Scholar programs provide powerful knowledge tools for trade professionals to make interesting buyer choices and innovative customer recommendations, which can help differentiate and set them apart from competitors. How long have you been teaching WSG courses? What are your students doing with these credentials? IWEG has been running the French Wine Scholar program since September 2012 and the Italian Wine Scholar program since September 2016. Those of our graduates who work in the trade and have successfully taken these courses are using their acquired, specialized knowledge to make better wine buying decisions, as well more informed customer recommendations. Those students who are wine lovers and enthusiasts are also enjoying their newly-found knowledge to make better drinking and cellaring decisions! You’ve been in business since 1977, how have you seen wine education change over the last decade/decades in Toronto? The Ontario trade has always recognized the need for wine and spirits education, which is why our founders, who came from diverse sectors of the wine industry, founded IWEG forty years ago as a not-for-profit, specialist education organization to satisfy this need. However, in the last decade, demand for wine education has grown exponentially and is at a record high as more and more businesses are recognizing that education and well-trained staff are the foundations to better customer service, which will trigger repeat business as well as stronger profits. Coupled with this, is the more recent and interesting phenomenon that wine education is no longer just for the trade professional but appeals also to the “consumer/wine lover,” who aspires to know about and drink quality wines from the world’s classic wine regions. What type of education experience do you provide at IWEG Toronto (teaching methods, social components, support, etc) that you think sets you apart? With over forty years of operation, IWEG is passionate about helping our students achieve their personal or professional goals. Our instructors, including two who are the globally top-ranked Wine Scholar Guild instructors, are subject-area experts and professionally trained educators, dedicated to student engagement and success. Many of our graduates have progressed to assume leadership roles in the Drinks and Hospitality industries in Canada. We have higher than global average pass rates for WSET courses, and offer a unique student experience, including proprietary study aids, the availability of study scholarships and field trips, experiential visits to local wineries to bring the classroom to life--all of which is only made possible by the generosity of our sponsors and trade partners. On the community engagement front, we offer a host of monthly networking events and sought-after master-classes at the school. Finally, our student-centric approach means that our scheduling is diverse and flexible, offering in-class or online study; day or evening classes; and condensed or less intensive formats as well as custom corporate programming.